Looking for affordable and convenient cloud storage? Zoolz Cloud Storage gets you lifetime access to 2TB of cloud storage for $44.95. Get rid of large hard drives that take up tons of space and break too easily. With Zoolz Cloud Storage, all of your important files will be saved securely on the cloud for you to access anytime. Lifetime access will give you 1TB of Instant Vault data and 1TB of Cold Storage data. That means you have up to 1TB of space to fill with files that you can access anytime, anywhere. You'll have another 1TB worth of space to store files that rarely get revisited. Retrieve stored files easily in approximately three to five hours, this is also called "cold" storage that is based on Amazon Glacier, so now it's well taken care of. 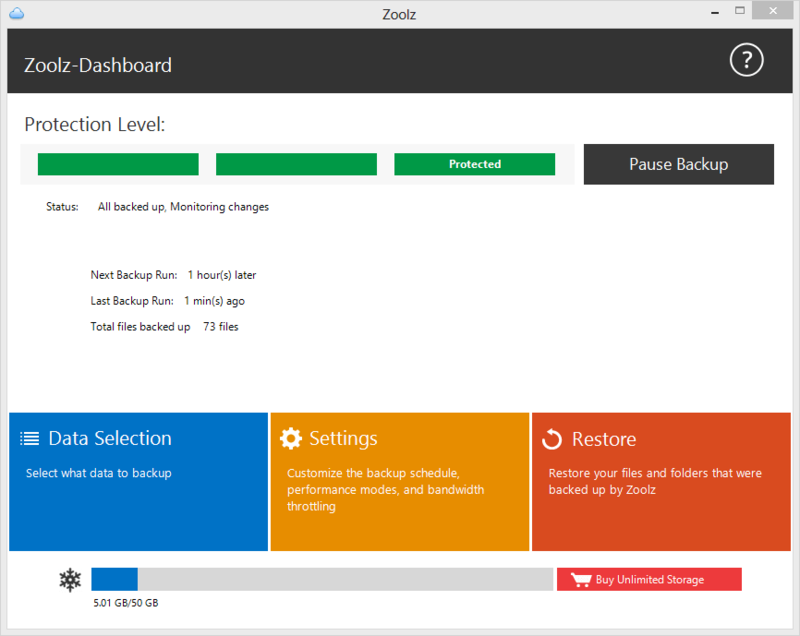 Take advantage of this great deal (98% off) and get Zoolz Cloud Storage for a limited time. Lifetime access is yours for just $44.95.